Storage of light, closed, dry and cool. agent ” It is widely used in many kinds of foods, such as wine, beverage, jam, chewing gum and so on. It has become the third place food sour agent after citric acid and lactic acid. It is one of the most widely used organic acids in the world food industry. The taste and flavor can be improved by adding malic acid in cool drinks, powder drinks, lactic acid drinks, milk drinks and juice drinks. 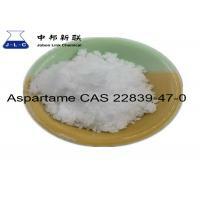 Malic acid with two peptide synthetic sweetening agent aspartame, add flavor soft drinks as a fixing agent. 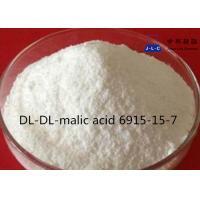 As its acid flavor is better than citric acid, the application of malic acid in the food industry has gradually replaced citric acid in recent years. When there is a certain amount of pectin and sugar, acid is the key condition for the formation of the gel. Malic acid can make the pectin gel effect, so it can be used to make fruit cake, jelly gel jelly and puree etc. Contains natural moisturizing ingredients of malic acid, can be easily dissolved in &ldquo bonding between drying flake of dead cells; stickies ”, which can clear the skin surface wrinkles, make skin tender, smooth and elastic, so favored in cosmetic formulations. 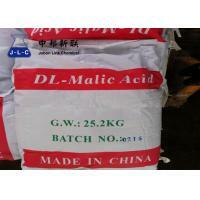 One of the raw materials for the synthesis of malic acid can be used as detergents, fluorescent whitening agent. 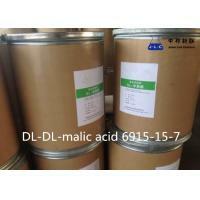 Polyesters and alkyd resins produced with malic acid are a kind of plastic with special purpose. 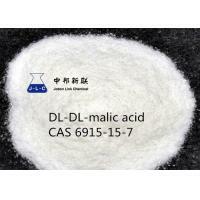 Malic acid can also be used as industrial cleaning agent, resin curing agent, synthetic material plasticizer, feed additive, etc. 1. To render 24-hour consulting service. 2. To provide you chemical products at best price with high quality and excellent service. 4. Provide clients latest price trend every month. 5. According to the importing formalities of different countries, we provide complete customs clearance documents. Founded in 2005, Jobon Link Chemical Co., Ltd. is located in Lanshan District industrial zone, Rizhao City, Shandong Province. With RMB50 Million registered capital and covering an area of almost 22000 acres,over 80 employees. We have a 3 doctors of chemistry, 5 undergraduates research team, and advanced experimental production equipment, who mainly specialized in the production of various types of rubber and plastic foaming agents, solvents and auxiliaries etc..
During the production, we implement GB/T19001-2008/ISO9001 quality system strictly, implement quality management system strictly, control the quality from the raw material, to make sure the finish product quality when leaving the factory. Moreover,we implement the whole process follow-up inspection, through strict control to make sure all our goods are excellent quality, which had been sold to Southeast Asia, Europe, America and more than ten countries, enjoying a good reputation. We will always take "first-class quality, first-class service" as our concept, sincerely welcome all clients and friends to our factory, and establish long-term stable business relations,achieve win-win result!